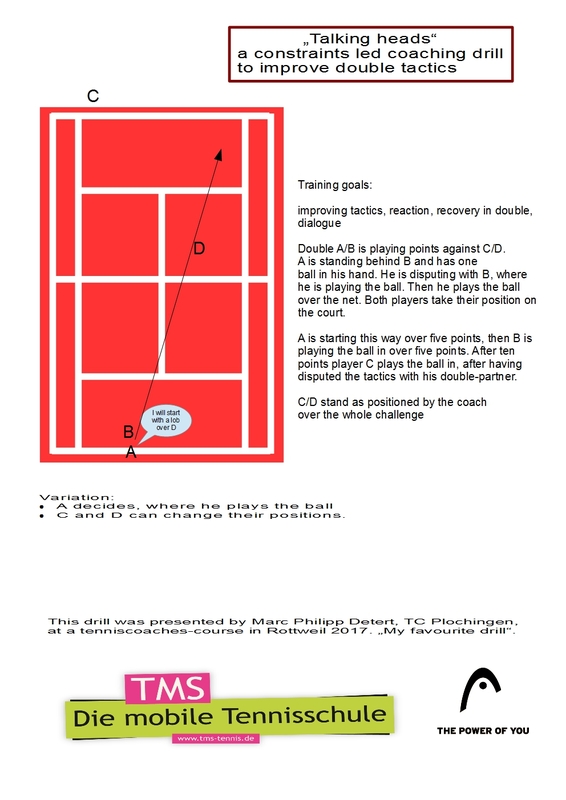 A wonderful drill for doubles to improve recovery and arrangement with your double-partner. Implicit and constraints-led. Presented by Marc Philipp Detert at the „Tennisassistenten“-course 2017 at TC Rottweil. 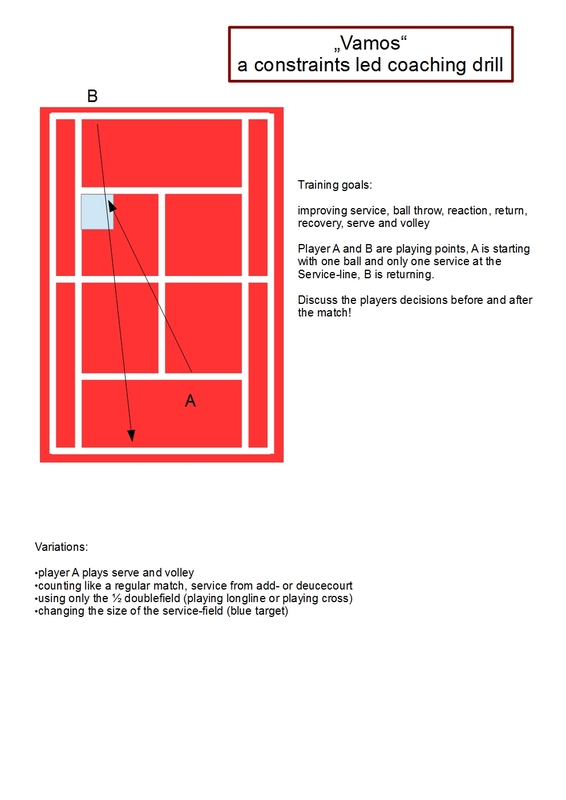 Another constraints led coaching drill to improve service, return and recovery.